The carrier’s post-tax profit fell by a fifth due to strikes and a heatwave that encouraged people to holiday at home. But these one-off problems pose less of a challenge to CEO Michael O’Leary’s low-cost business than rising staff costs and the risk of a chaotic Brexit. 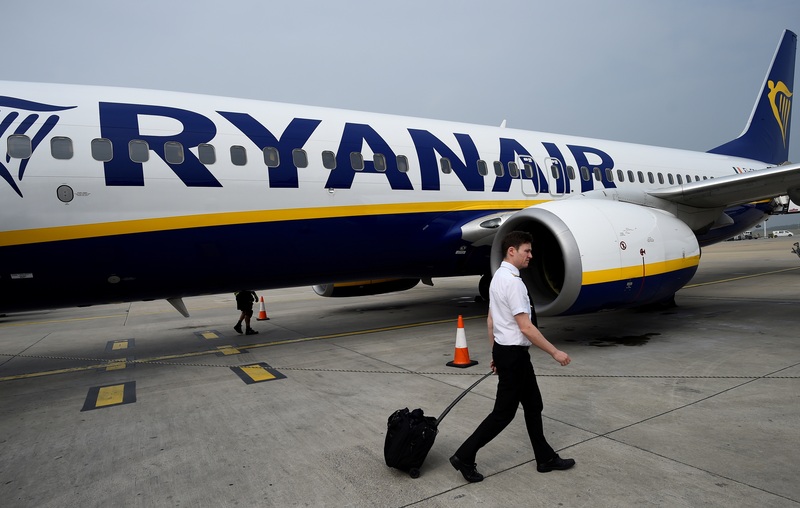 Ryanair said on July 23 its average fares would be lower than expected during the key summer period due to high competition, unusually hot weather in northern Europe, and potential strikes by its staff. The airline said fares fell 4 percent in its first quarter and would rise by 1 percent in the second. The budget airline said it made 319 million euros of profit after tax in the three months to June 30 after excluding exceptional items. That was a 20 percent decline from a year earlier but in line with the company’s guidance. Analysts’ consensus forecast had been for profit of 305 million euro, according to a poll provided by Ryanair. Ryanair confirmed its forecast of between 1.25 billion euros and 1.35 billion euros for full-year profit. Ryanair shares fell 5.7 percent to 14.67 euro at 0815 GMT on July 23.